If you’re looking for one of the most exclusive and best locations to live on the incredible island of Tenerife, then we may just have the perfect place for you! San Eugenio Alto is in a beautiful spot close to some of the most popular attractions and towns in the south. While residents in San Eugenio Alto enjoy an excellent proximity to nearby popular places, it is also slightly removed from the hustle and bustle, being up on a hillside overlooking the action. 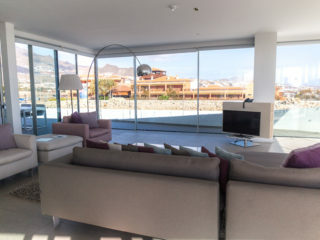 So while it is very conveniently located, being just a short drive away from the coast and close to Puerto Colon, Siam Park, Siam Mall, Playa de las Americas and Los Cristianos, it is also far enough away that you won’t be surrounded by crowds, noise and traffic when you’re back your home. 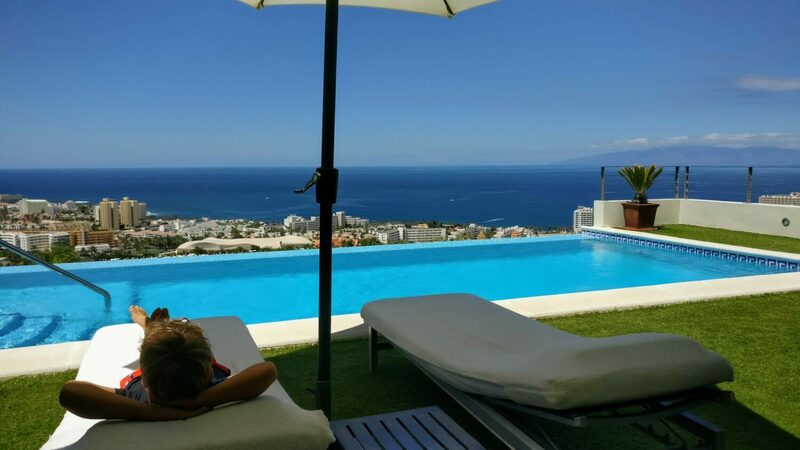 In San Eugenio Alto you can enjoy a quiet, tranquil life, making it absolutely perfect for when you simply want to spend some quality time with the family relaxing in your garden by the pool or having a bbq get together. 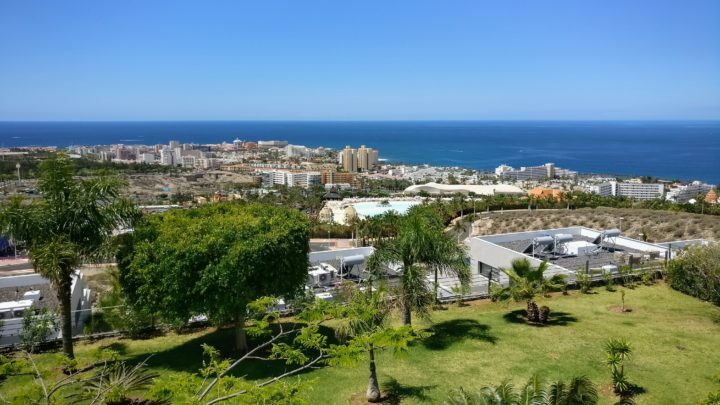 Most of the properties located in the area allow residents to experience incredible views out across the unique island landscape such as incredible gorges, the bustling towns of Los Cristianos and Playa De Las Americas and then out to the beaches and stunning Atlantic ocean. 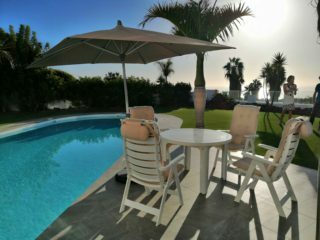 You can even enjoy views out towards neighbouring island, La Gomera and see some absolutely sublime sunsets, as the sun dips beneath the horizon out to the ocean. With a vista like that, you’ll probably want to be outside more than inside your house! Added to that of course, as San Eugenio Alto is located in the south, if you are looking for a year round warm, sunny climate then this is one of the best spots on the island to experience that. Unlike other places in Europe, such as the UK, you can look forward to al fresco dining during almost any month of the year. With the gorgeous sunlight the surrounding panoramic views look even more incredible with bright vibrant colours, including gorgeous tropical green palm trees, colourful buildings, the bright blue sky and deep blue Atlantic Ocean. Forget grey miserable days, here you will experience an eternal spring. 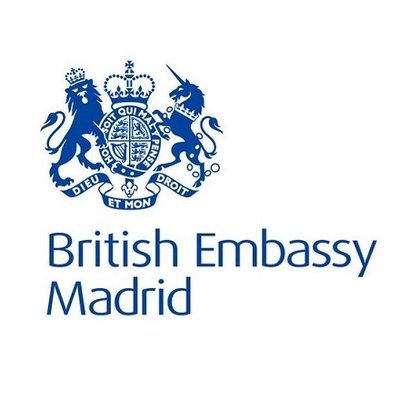 Being in a more rural area, there are superb walking opportunities in the surrounding countryside including some excellent trails to trek along such as through the Paraje Natural Caldera Del Rey. On one side of your property you will have views down to the gorgeous coastline, while on the other the mesmerizing sight of Tenerife’s mountainous interior which is also surprisingly green and fertile as the altitude rises. 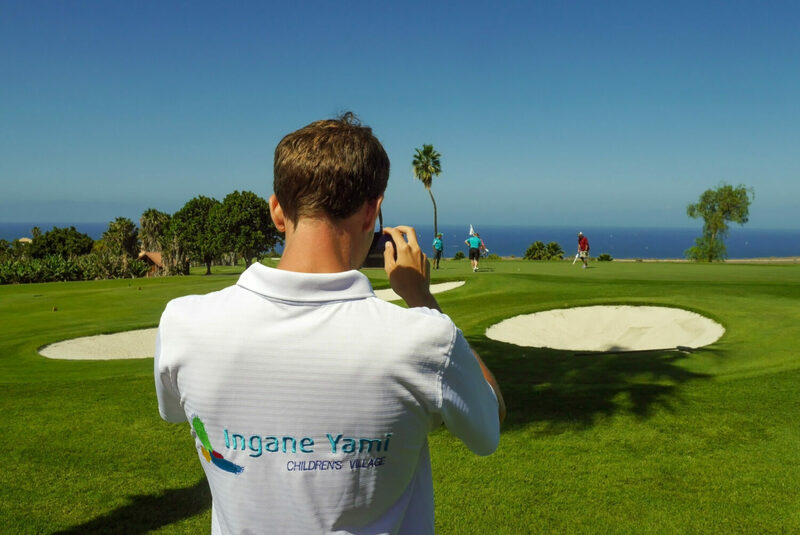 If you enjoy sailing and own a boat, or love sailing excursions out on the waves such as to the see the whales and dolphins or to go diving, then San Eugenio Alto is perfect for you as you can reach the stunning Puerto Colon Harbour after just a short drive. There is also a huge abundance of shops, bars, restaurants and cafes, and other excellent amenities like cinemas, theatres, beaches and sports facilities all within a very short distance. 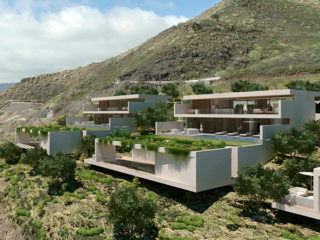 Overall San Eugenio Alto offers the best of both worlds on the incredible island of Tenerife. 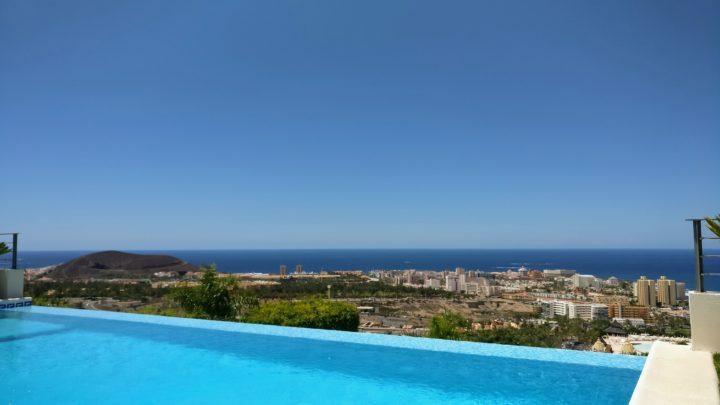 You can enjoy complete peace and quiet with stunning views down on the surrounding area, but you will also not be cut off as the vibrant, bustling coastline with all that has to offer is very easily reachable. Plus you can go for relaxed walks through the rural interior. 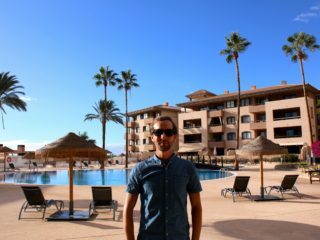 So if you are looking for either a place to relocate to completely or a holiday home, you won’t be disappointed with San Eugenio Alto! To start your property search, take a look at this gorgeous home advertised by Asten Realty that we featured in our latest Through the Keyhole series! 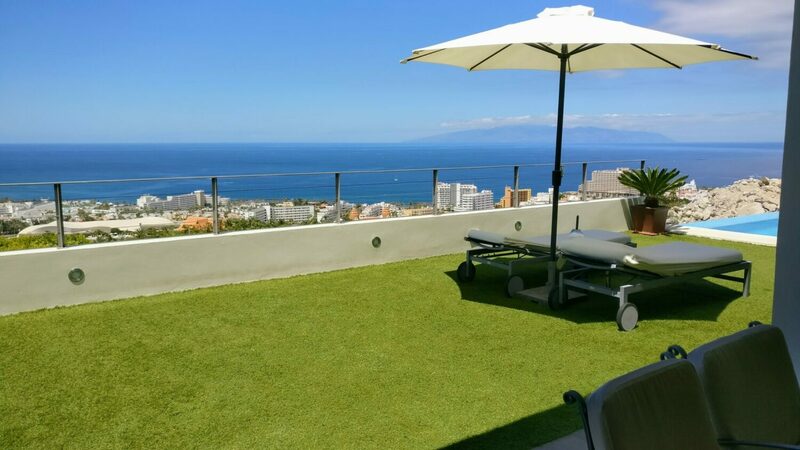 > Luxury 3 Bedroom Villa for sale in the Exclusive area of San Eugenio Alto.